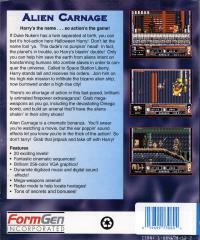 Alien Carnage, originally released as Halloween Harry, is a side-scrolling platform game developed by Interactive Binary Illusions and SubZero Software, and distributed by Apogee Software. The game features 256 colour VGA graphics and background music in MOD format. Alien Carnage is composed of four episodes. The first episode was released as shareware, and the rest were distributed commercially. 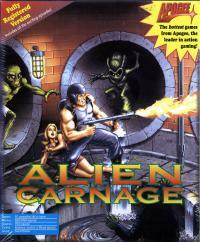 In May 2007, John Passfield and 3D Realms released Alien Carnage as freeware.